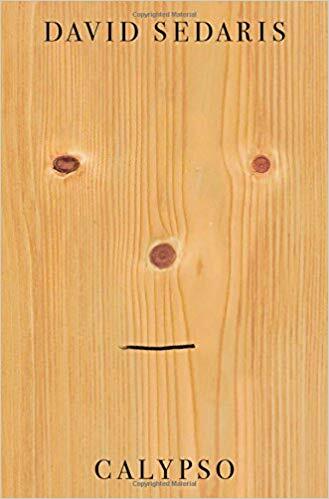 David Sedaris is a humorist who writes about his life, making unique observations which resonate. I picked up one of his books a few years ago and wasn’t impressed. I found him arrogant and the laughs sparse. However, a review of Calypso said it focused primarily on aging and mortality so I decided to give him another go. I’m glad I did. This is a funny book. I laughed out loud more than once. Make no mistake, Sedaris has a strange offensive brand of humor so he’s definitely not for everyone. For me, I was happy to find someone who’s ideas are quirkier than my own. For instance, Sedaris has a benign tumor which needs removing. He asks the doctor if he can keep it, with the idea of feeding it to a snapping turtle near his North Carolina vacation home, but the doctor says no it’s against federal law. So he allows a Hispanic woman he meets at one of his book lectures do it in less than ideal conditions. Weird, I know, but oddly satisfying. If you like funny; you’ll love Calypso. I like David Sedaris a lot. His talks are fantastic and totally worth a listen. He spends most of his days where he lives out in the countryside in Sussex just walking up and down the side of the road picking up litter. He’s certainly an eccentric guy. Which of his books didn’t you like? I’ve only read Me Talk Pretty One Day and the essay that he wrote after his sister’s suicide and I thought both were just brilliant – obviously in very different days. Also anything he writes about Amy Sedaris is gold. The book I read was Me Talk Pretty One Day. I know I’m swimming against the tide here but I didn’t like it. I found him arrogant and times and it wasn’t that funny to me. But I highly recommend Calypso. That one, I found hysterical. In it he talks about his lifestyle in England. I think you’d enjoy it.